NexTravel bills itself as the next generation booker for the vast number of small businesses. While most big enterprises use major players like Concur to book travel, smaller firms don't have a lot of affordable options. Employees often book their own travel, making it difficult for businesses to keep tabs on expenses and itineraries. According to NexTravel co-founder Wen Wen Lam, Travel and Expense is the second-largest controllable cost next to payroll. That's why the YCombinator-backed has developed a comprehensive travel booking platform that offers flexible cancellations, loyalty points for fliers, discounts of up to 40% on fares for hotels and cars, employee management, and more. With its service, companies can set travel policies and add employees who can set travel preferences. Employees perform searches from over 270 airlines, 260,000 hotels and 29,000 cars rentals. 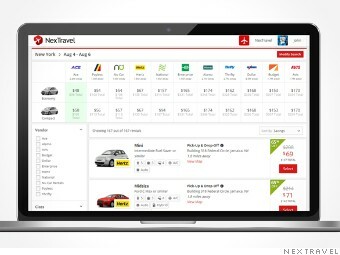 NexTravel gets commissions on the backend from bookings. The basic web version is free -- and individuals can sign up using their corporate email addresses even if their company isn't on the platform. Later this year, businesses will have the option to connect NexTravel's system to their existing systems, at a cost.